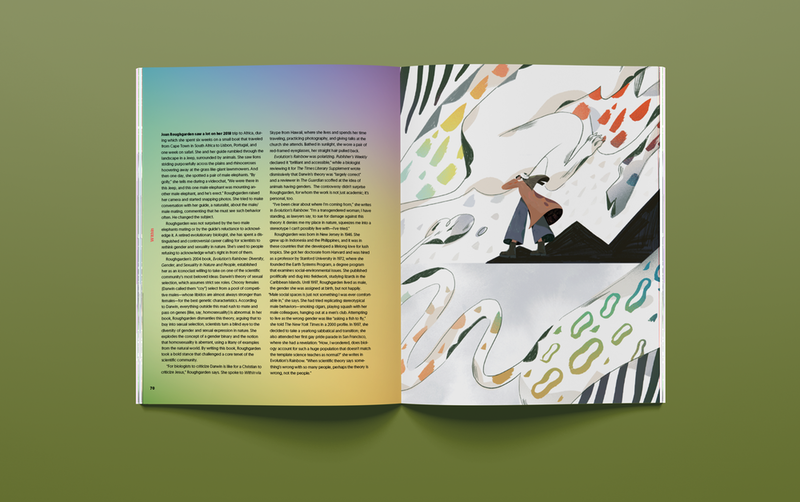 Within Magazine exists to do three things: challenge the status quo of leadership in design and technology, share practical wisdom for creating environments where all people thrive, and amplify stories of more diverse leaders. 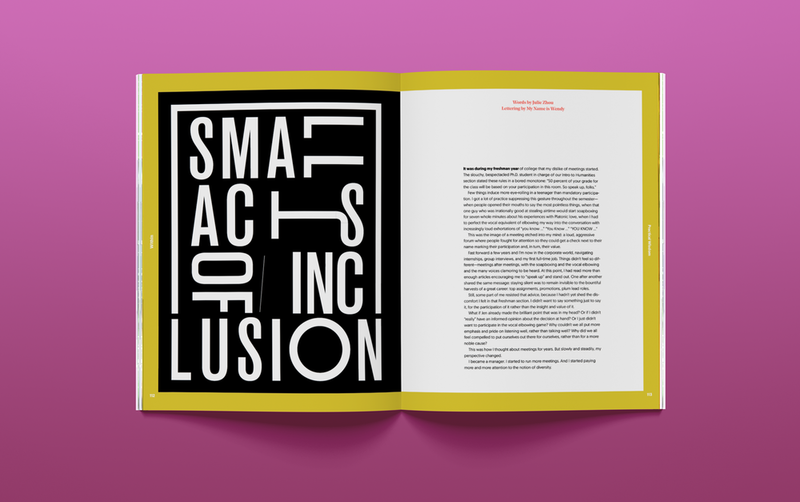 More than a magazine, Within is a community that is driving design towards a more diverse and inclusive future. We are self-identifying women who have come together to share, learn, and reinvent. Real change may be born of us, but it will take more than us. “I noticed people who started on the same wavelength would get to ideas quicker.” In this feature on Google’s Ivy Ross, we explore how she is bringing her passion for the healing arts to the corporate world—inspiring creativity, and creating conditions for people to thrive. Gender sets expectations in the workplace and beyond. Joan Roughgarden spent her distinguished and controversial career calling for scientists to rethink gender and sexuality in nature. As humans embark on this journey, what might we learn from her research and perspective? “The answers were always there, but overshadowed by the noise of everyday life.“ Stacy La reflects on the unexpected path towards knowing herself, and not knowing what’s next. Get your copy of Within. Our brave and creative contributors.